Established more than a quarter-century ago,the Wyck-Strickland Award is the annual benefit event for Wyck, a National Historic Landmark house, garden, and farm in the Germantown section of Philadelphia. 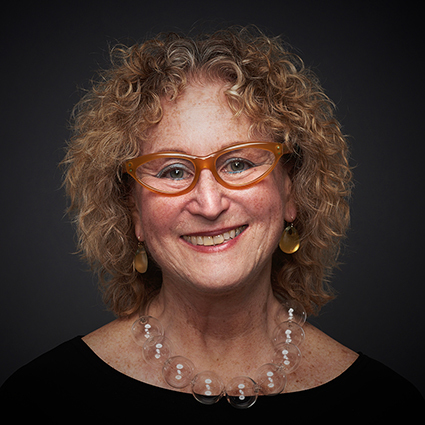 The 32nd Annual Wyck-Strickland Award Dinner will honor Penny Balkin Bach, Executive Director & Chief Curator of the Association for Public Art, on Tuesday, November 19, 2019 at the Science History Institute in Philadelphia. The award is inspired by the balance of tradition and innovation created at Wyck when renowned architect William Strickland redesigned the interior in 1824 for his friends, then-residents Jane and Reuben Haines. The award honors individuals who have made outstanding contributions to the cultural life of Philadelphia through work that balances a drive for progress and modernity with a sensitivity to the past. This honor has evolved over the years to include architects, engineers, urban planners, landscape architects, historians, curators, and librarians. Past recipients include Robert Venturi, Paul Redman, Meryl Levitz, and Harris Steinberg. All share a love of Philadelphia and its rich history and cultural life. Sponsorships may be purchased by contacting Jennifer Carlson, Wyck’s Executive Director, at 215.848.1690 or jcarlson@wyck.org. Online ticket sales will be available beginning June 2019 on Wyck’s website. PENNY BALKIN BACH is the Executive Director & Chief Curator of the Association for Public Art (aPA, formerly the Fairmount Park Art Association). A curator, writer, and educator who provides artistic direction for the organization, she is well known for her work with artists and for her innovative approaches to connecting public art with its audiences. She supports the creation of opportunities for new works by artists and creative professionals, promotes the interpretation of art in public spaces, and advocates for the responsible stewardship of public art. Bach has organized major, influential public art projects, including Form and Function and New•Land•Marks: public art, community and the meaning of place, as well as large-scale installations by acclaimed artists Martin Puryear (Big Bling), Cai Guo-Qiang (Fireflies) and Jennifer Steinkamp (Winter Fountains). In recent years, Bach has been responsible for the permanent installation of sculptures by Mark di Suvero, Roxy Paine, and Barbara Hepworth, and helped to bring Robert Indiana’s AMOR to Philadelphia. The Association for Public Art (aPA, formerly the Fairmount Park Art Association) commissions, preserves, interprets, and promotes public art in Philadelphia. The aPA is the nation’s first private nonprofit organization dedicated to creating a “Museum Without Walls” that informs, engages, and inspires diverse audiences. Supporting originality and innovation while honoring the past, aPA advances opportunities for creative people to contribute to the city’s places and spaces. Established in 1872, aPA integrates public art and urban design through exemplary programs and advocacy efforts that connect people with public art. Wyck served as the ancestral home of the Wistar-Haines family from 1690 to 1973. Open to the public since 1974, Wyck features buildings, landscape, and collections that reflect every period of American history since pre-colonial times. The 2.5-acre site consists of a colonial house; the oldest rose garden in American still in its original plan; and a collection of 10,000+ furniture pieces, historical artifacts, and accumulated curiosities. At Wyck today, we are not only preserving this 328-year-old site and its extraordinary collections; we are working to maximize the role it can play in the health and life of our contemporary community. Wyck’s multifunctional Home Farm provides an experiential outdoor classroom for local children and adults. Our free community festivals feature an assortment of activities in the areas of history, horticulture, and urban agriculture and help our neighbors and visitors to connect historical and modern-day ideas of place, food, family, collecting, nature, and sustainable living. And the Wyck Rose Garden, one of Philadelphia’s best-kept secrets, comes alive each spring with a plethora of antique roses and opportunities for community members to learn more about this local treasure free of charge.